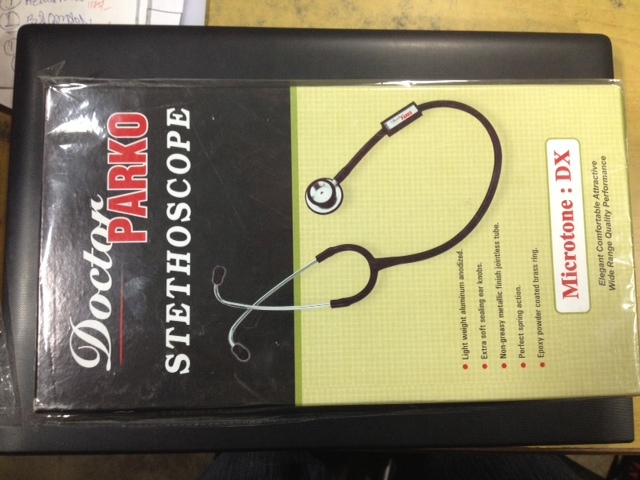 Doctor Parko Stethoscope Export quality is a must have in every clinic, hospital or research lab. It is designed in export quality that makes it a durable and user-friendly product. It features a dual sided brass chest-piece with special diaphragm for great sound clarity. The kit comes with soft ear tips for the comfort of doctor.